We’ve updated our list for 2018 to replace out-of-stock items with brand new gift ideas you can get for the funeral director in your life. Be sure to leave us a comment and let us know if there any great gifts we are forgetting. From the moment you see the credits appear on different casket lids, Getting Grace hooks you. Within the first five minutes, you become immediately invested in the movie’s characters, setting and important themes. Getting Grace tells the story of a disaffected yet endearing funeral director who learns some very valuable lessons from a teenage girl with terminal cancer. The poignancy of the film, coupled its accurate portrayal of the death care profession, make this movie a rare gem that every funeral director should see. Since it was first released, many funeral professionals and funeral associations have rallied behind the film. Now available on DVD, Getting Grace gives funeral families the opportunity to watch a movie together and see their lives represented on screen for the first time. With sharp writing, compelling acting and an amazing story, Getting Grace is a movie that is likely to make you bust a gut laughing at some parts and wiping away tears at others. It truly is the perfect blend of humor and heart. We are certain that once you have “gotten Grace”, you won’t soon forget her. The lifestyle of a funeral director does not allow for spontaneous trips to distant locales. But just because you can’t travel often doesn’t mean you can’t discover new and exotic places every day. 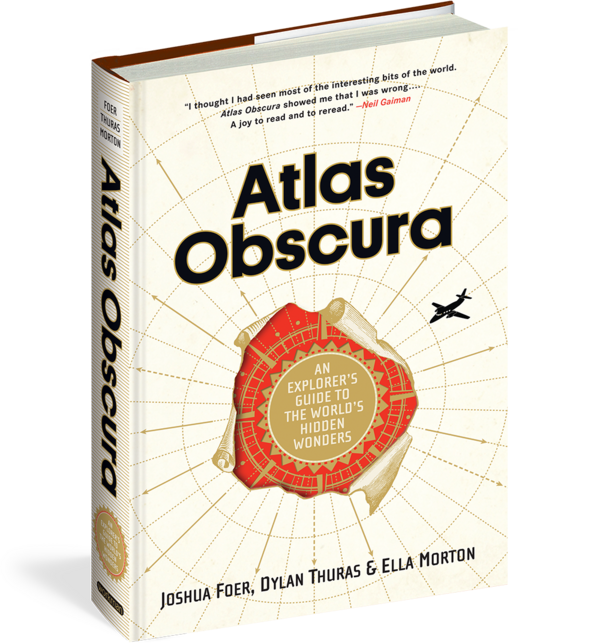 Our love for Atlas Obscura began when we discovered a treasure trove of stories that would inspire and fascinate funeral professionals. Back in February, we compiled a list of 28 Mind-blowing Atlas Obscura Stories Funeral Directors Would Love, but there are so many more discoveries to be made. From ancient tomb discoveries, to unique headstones, to cemeteries that look like they are on a different planet, we are certain more than one of the stories in this collection will catch your attention. Give your funeral home the snow globe treatment! What a cool (and inexpensive!) gift idea for that unshakable funeral director in your life. You can personalize the snow globe with any funeral home name and you can even customize the appearance of the little funeral director character! Funeral directors can celebrate Christmas and Dios de los Muertos together with this great Christmas ornament set featuring characters from the movie ‘Coco.’ Many directors love the film for its death-positive message. Rather than taking place in a castle or under the sea like some of Pixar and Disney’s other films, Coco takes its protagonist Miguel to the colorful Land of the Dead to unlock the real story behind his family’s history. It’s a great story to embrace this holiday season. Help a funeral director bring some style and organization to his or her desk with this nifty Casket Business Card Holder. Batesville, who created the product, also sells a jet-black version of the casket business card holder on Amazon. Directors can pay tribute to their funeral home's history with this unique, vintage-inspired plaque with custom hanging name plank. The plaque can be personalized with any funeral home name, making this item a great decorative item and conversation piece for any funeral home office. Inspire the funeral director in your life with this long-anticipated read from Funeral Director and popular blogger, Caleb Wilde. There’s a reason why Time Magazine recently referred to this book as a “must read” – it is a profound and illuminating book on mortality and the death care profession. Caleb draws from personal stories and reflects on his experiences working as a funeral director to reveal how understanding death can help us to live more enriching and fulfilled lives. These off the wall flip flops are perfect for the next time the funeral director in your life is leading a procession down to the beach. Show your funeral director parent how much they mean to you with this thoughtful and sweet Christmas tree ornament. For directors who are fascinated by the history and progression of funeral service, this distinctive wristwatch makes the perfect gift. The old embalming instruments on the watch face invite you to reflect upon a much different time in funeral service. Both cemeteries and desktop computers often have storage space problems overtime. Fortunately, funeral directors can bury at least one of those problems with these clever casket-shaped USB drives. The purchase will also allow you to support the National Museum of Funeral History, which is dedicated to preserving the time-honored traditions and historical artifacts of the funeral profession. The latest book to be published about the work of funeral service professionals comes from one of our favorite funeral writers, Chelsea L. Tolman (aka "The mbalmergirl"). We’ve been long-time fans of Chelsea’s blog and really appreciate her poignant writing style. Just about everything we have read by her has moved us and we’re so happy that her incredible stories are now all contained inside her new book, Speaking of the Dead. As book reviewer, Jocelyn Soriano, recently wrote, Chelsea’s novel is “about the most touching encounters with real people who are undergoing the toughest times.” Truly a meaningful gift for anyone on your Christmas list this year. Help the funeral director in your life spice up their kitchen with these fun and amusing Salt and Pepper headstones. Special thanks to funeral director, Katherine Forest Roan, for making us aware of the first gift box subscription created specifically for funeral homes. The Pine Box Club is tailored to funeral professionals with novelty gifts such as an embalming fluid water bottle mixed together with great personal care items like peppermint tea, car air fresheners and stress reducing aromatherapy oil. With 3 and 6-month subscription options, the Pine Box Club offers a great gift for funeral professionals that keeps giving. The perfect gag gift for a funeral director who doesn’t like to share. Just imagine the looks and conversation this hilarious lunch tote might prompt. The bag is insulated so it can keep your food and beverages cool while scaring off any unwanted moochers. “Death by Chocolate” cookies will never be the same again. 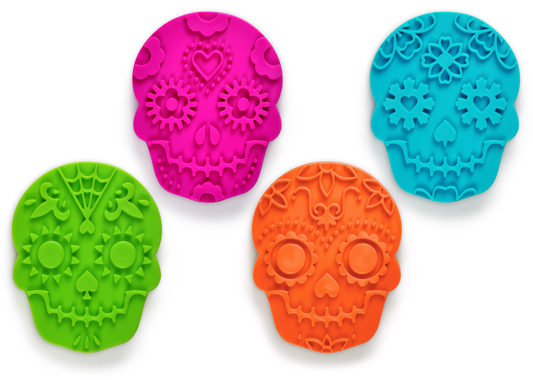 These fun Dia de los Muertos cookie cutters allows funeral directors to add their signature touch to baked goods and create Sugar skulls, a beloved Day of the Dead treat. Directors can take both alcoholic beverages and their sense of humor on the go with this great tongue-in-cheek embalming fluid flask. 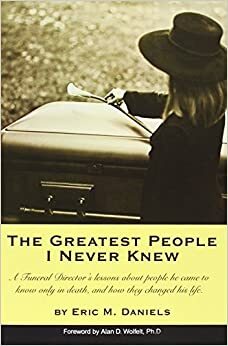 This 5-star rated memoir by a funeral director recounts how the author was profoundly affected by the lives of many of the people served by his funeral home. The essays found within this novel are sure to inspire the director in your life to ponder and share about their own experiences in funeral service. There has never been a better time to revisit this Emmy award-winning HBO show, which takes place inside a family-owned funeral home. The show’s deep exploration into the meaning of life and death still resonates today as much as it did when it first aired 15 years ago. You’ll be amazed at the things you will pick up that you may not have noticed on your first viewing. (For example, did you know that the show writers predicted the Green Burial movement with their portrayal of Lisa’s death and burial?) This Christmas is the perfect time to get reacquainted with the Fisher family and give this rightfully celebrated show a second watch. 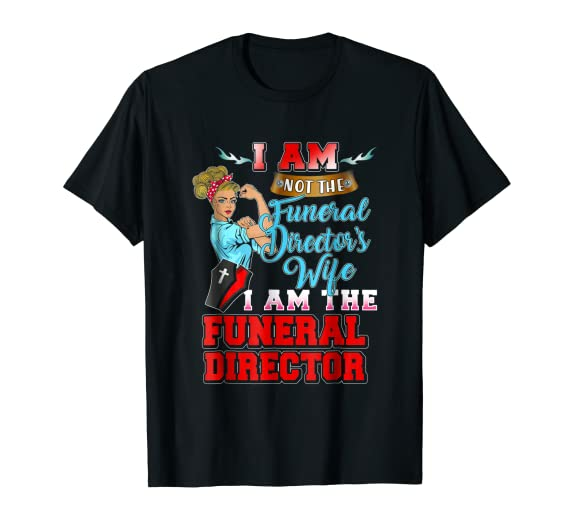 We absolutely love this T-Shirt for female funeral directors who are sick to death of that tired old assumption. Rosie the Riveter meets the prep room! Funeral directors can bring some coolness to any party, Halloween-themed or otherwise, with this funky coffin-shaped cooler. 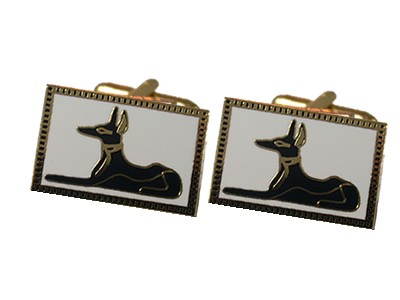 Adorn your suit while paying tribute to funeral service with these stylish cufflinks featuring the image of Anubis, the Egyptian God of embalming. Pushin’ Daisies also sells a variety of other funeral director inspired cufflinks and tie bars, including caskets, hearses and skulls. 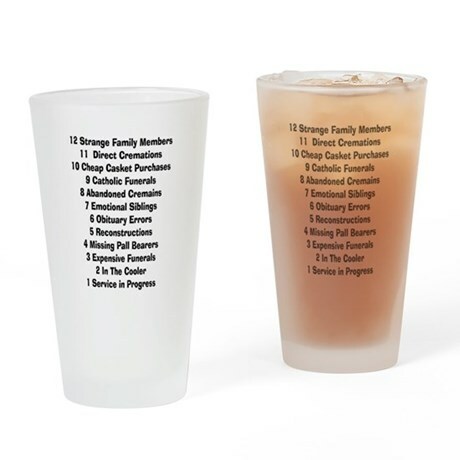 Drink away your problems with the “12 Days of Funeral Home" glass. The glass design includes a list of common woes only funeral directors understand. We can think of quite a few funeral directors who deserve to sip their coffee from this awesome mug. What a fantastic way to remind the director in your life how much you value them and appreciate their work. Great Gift Idea Suggested by a Director: The Heated Circulation Enhancing Lower Leg Massager. "This funeral directors favorite gift ever was a leg/foot massage stool that I could use after endless hours on my feet attending to the door or embalming. "-Kurt Eschbach, Funeral Director. What are some other great gift ideas for funeral professionals? Leave us a comment and share what other items you think directors would love to see under the Christmas tree this year!